Stop right there. You had something in mind, characters, plot points, settings. But you can’t bring yourself to write it all down? OK, that’s fine. I can honestly relate to your struggles on putting your words onto paper. But to dislike yourself for not being able to do so is to set yourself up for future failure. My point is, so what if NaNoWriMo didn’t go as planned? You can still get that novel off the ground, and find the way to do it. Thanks for the words of encouragement. Yeah, I have an ugly habit of being to hard on myself sometimes. But you are totally right. Hopefully I can motivate myself to work on it now that I have a little bit less pressure. Sounds like it will be a difficult novel to write due to your emotional attachment. Maybe the timing just wasn’t right. Don’t be hard on yourself. There is always tomorrow! Thank you kindly Alex. And I appreciate you taking the time to comment. I’ve just been having a bad streak as of late, and I guess I just felt the need to lash out at myself a bit. Thank you for the encouraging words and the insight. I found it to be very valuable. 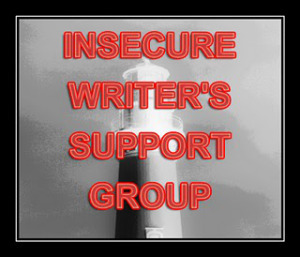 Love the blog and the group you put together. Thanks again.